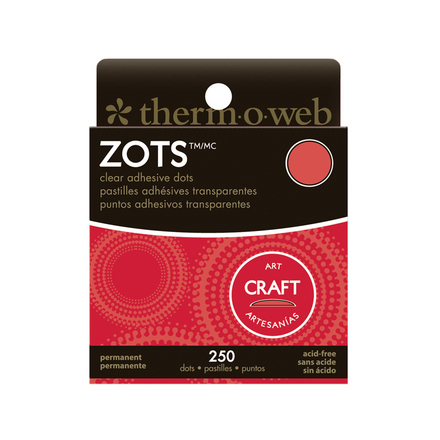 This month’s Power Tool Challenge is one of my favorites. Because it involves you! Yes you! 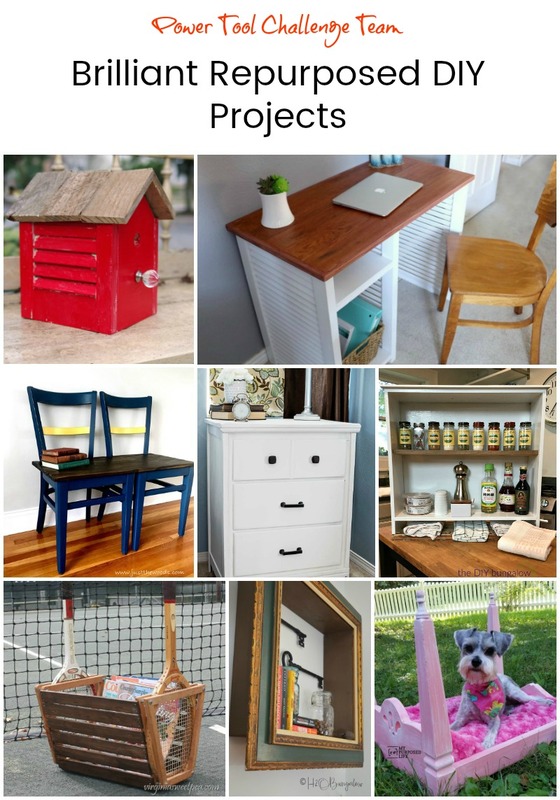 We are asking our readers to submit their best upcycled project and have a chance of winning one of two prizes from RYOBI Power Tools! There’s only one hitch. 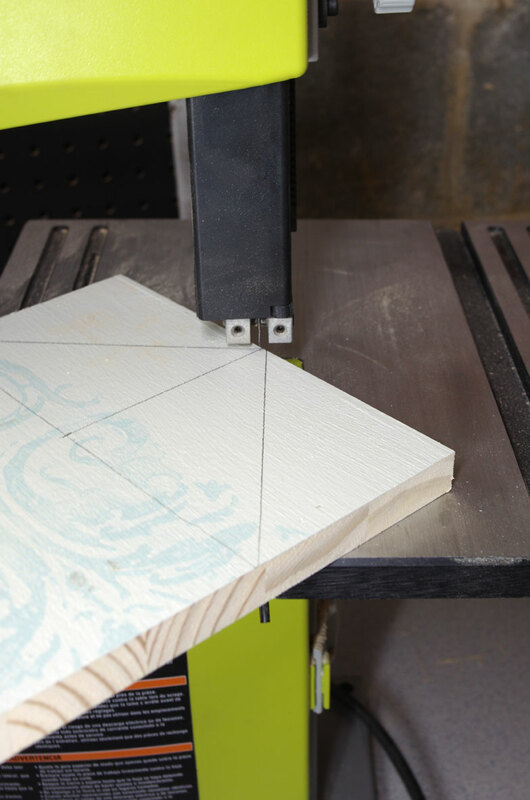 Your project has to be made with at least ONE power tool. 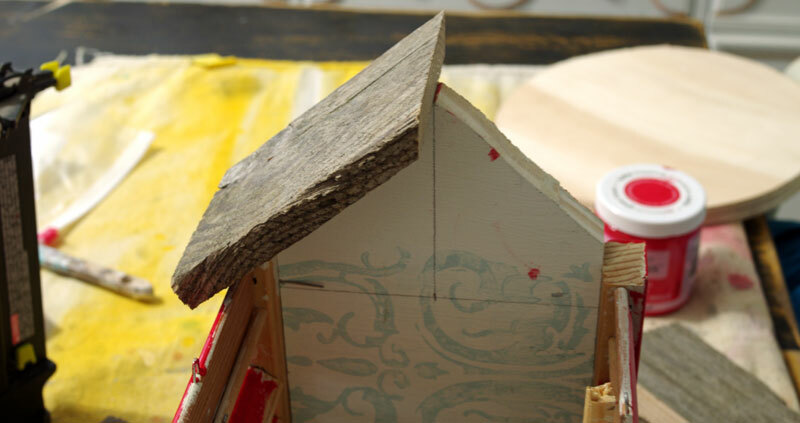 There will be more details after I tell you about how to make a rustic birdhouse from an old shutter. Be sure to read all the way to the bottom to get the all the details on how you can win some power tools from RYOBI! The first thing I did was cut the shutter in half. I used my RYOBI Miter Saw for that. I made sure to just cut through the sides between the slats. Next I found a piece of scrap wood that I could cut and use for the front and back pieces of the birdhouse. These two pieces needed to have the eaves cut at the top so I measured and marked each piece. 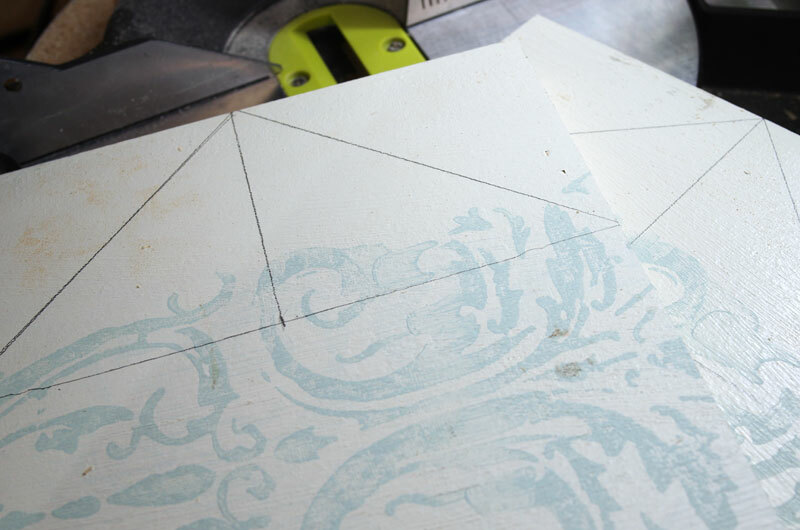 I cut these angles using my RYOBI Band Saw. Now I had four pieces: the front and back with the pointed eaves and the two side shutter pieces. For the roof, I cut an old piece of pallet wood into 5″ long pieces and bevel cut one end of each piece as shown above. 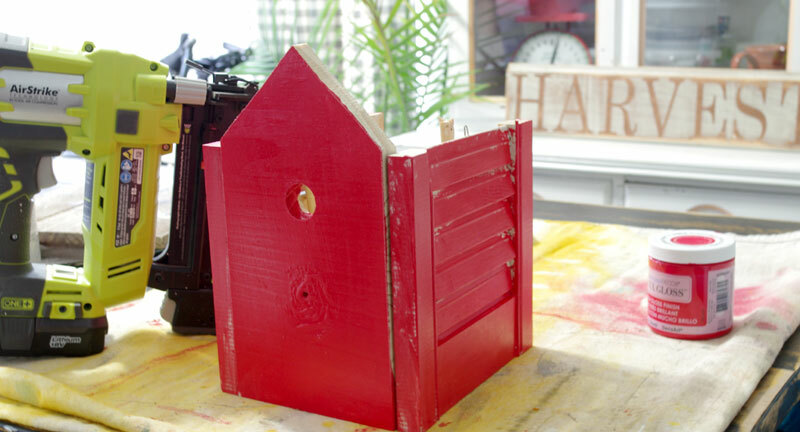 Next I painted the four birdhouse pieces with bright red paint. The pallet roof pieces were left as they were: perfectly rustic! 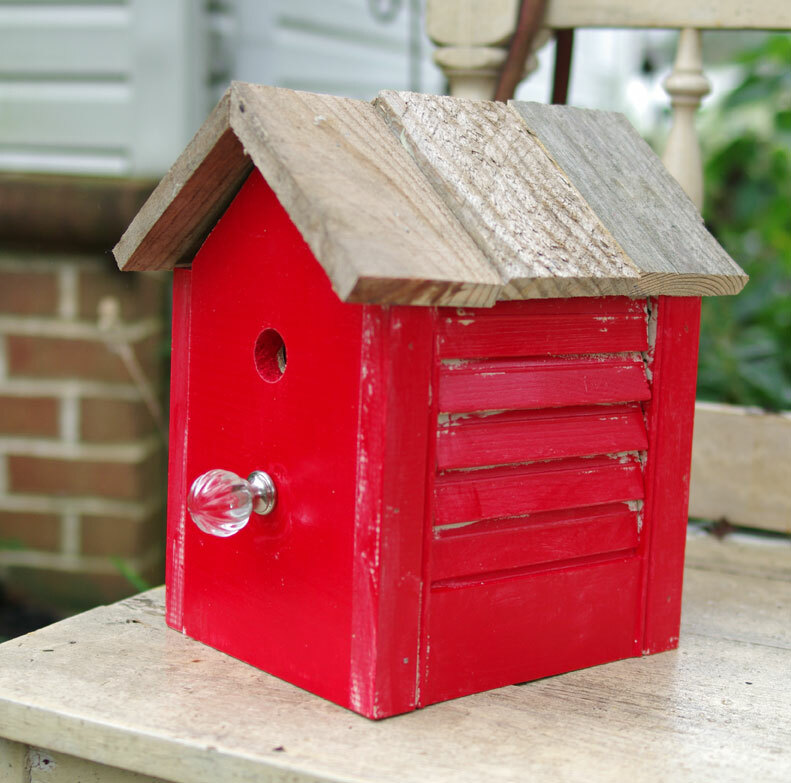 Next, I assembled the birdhouse using my RYOBI Narrow Crown Stapler with 1-1/2″ staples. I wasn’t careful when painting. I wanted this birdhouse to look old and weathered. I found a stray glass doorknob to use as the bird perch. Oh, I almost forgot! I cut out the hole with a Forstner Bit in the RYOBI Drill Press. I love how it turned out! 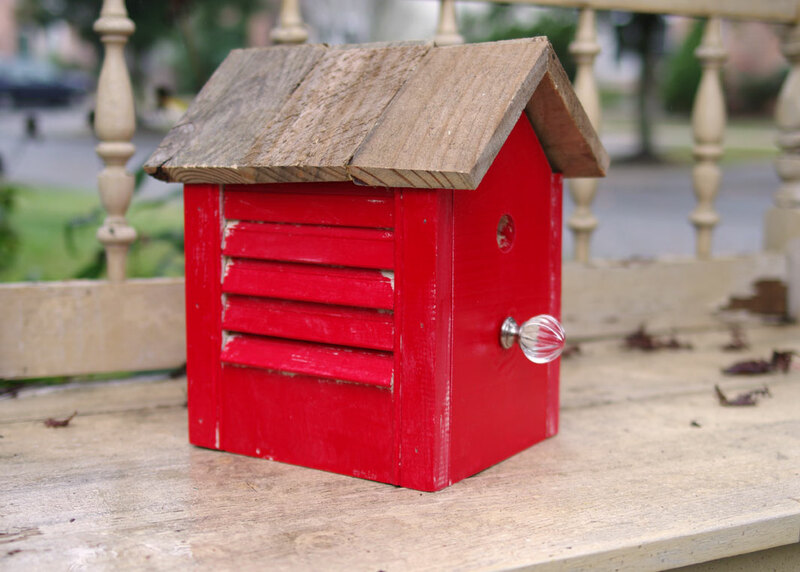 This was such a fast and easy way to repurpose a little old shutter and turn it into a pretty little birdhouse. I plan on using it in my Christmas decorating this year. 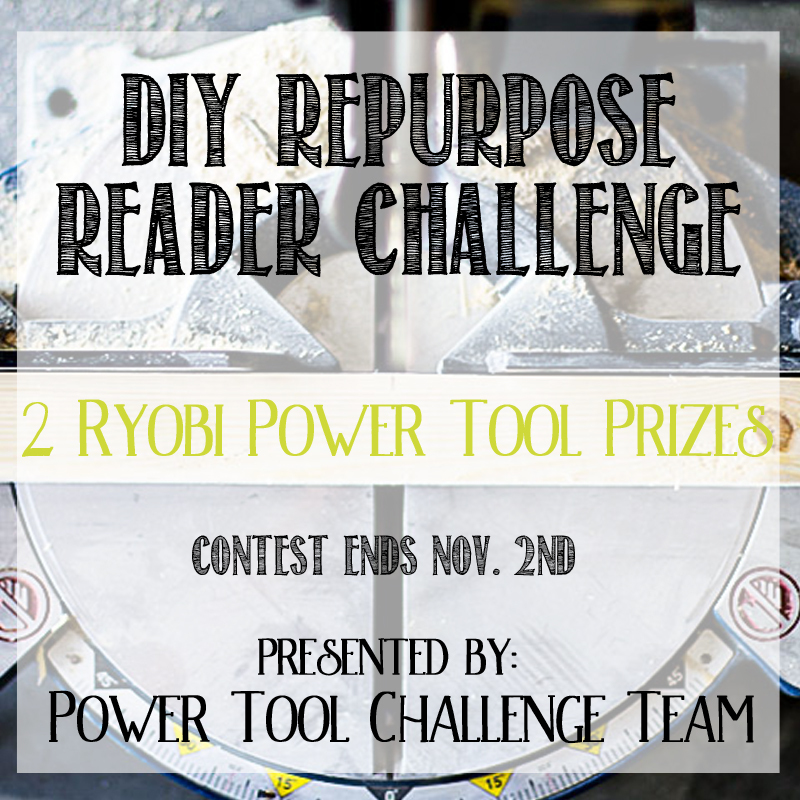 Two Ryobi Power Tool Prizes! Every entry counts towards a chance in a random drawing and the winner gets to choose either an 18 Volt One + jigsaw or an 18 Volt One + Drill. The project voted Best Repurposed Overall by the team gets to select up to $230 of Ryobi Power Tools of their choice. How to enter: Enter your project in the linky below. The linky will be open for 2 weeks (ending midnight November 2nd). Readers can submit their own projects directly or make a Facebook post and share that link. 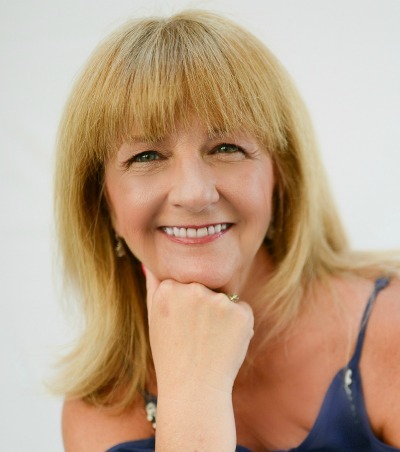 If any of you need help or want me to post your project for you just send me an email with your project photo to jeanie@createandbabble.com, be sure to include your name and your project title too! 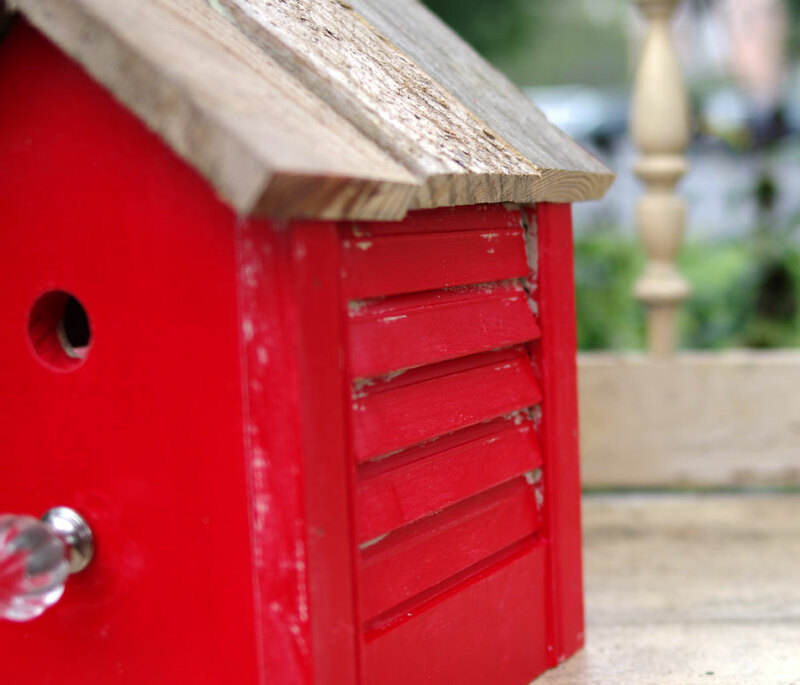 What an adorable birdhouse! 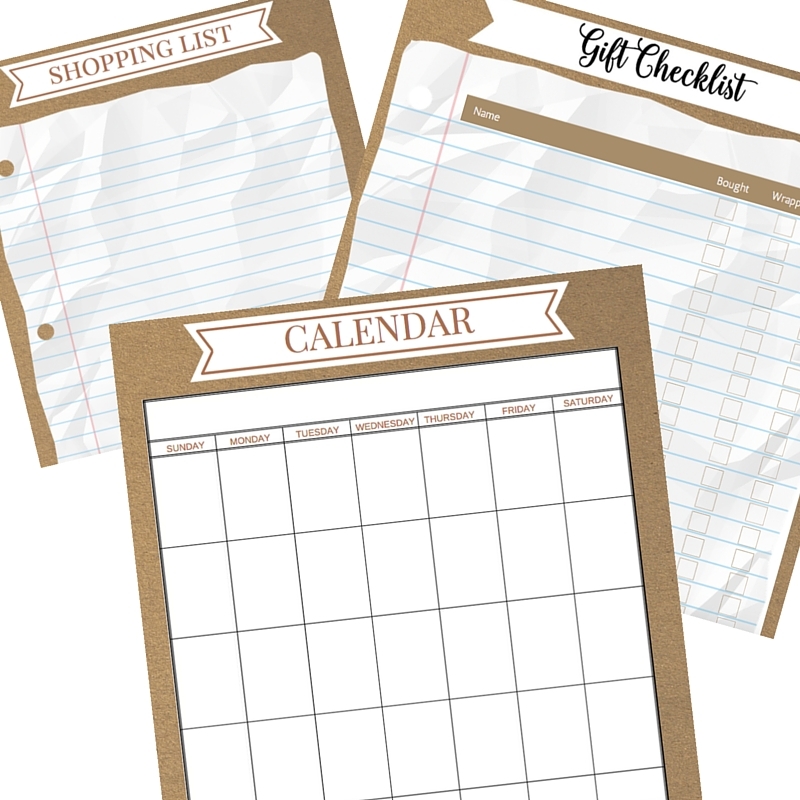 This is a great repurposing project! Love that rustic wood roof with the sparkly, glass bulb. This is so cute. Love the bold red and pretty knob too! Adorable! I love the bright red! Your cute little rustic birdhouse will be perfect for Christmas decor!!!! What a cute birdhouse you made! I love the pallet wood roof and cut knob that you used on the door. Jeanie this is just sooo adorable! What a cool idea! I love it, pinned! The little birdhouse is so adorable. It will make a great Christmas decoration. This is amazing! I have no power tool skills so I am impressed! This is beautiful! I think I will give this try thank you! Thanks for the tips on how to make a birdhouse. I own a bird and it´s truly the light of my days. A wonderful canary bird I made a house for. This will be a great and interesting topic. I will definitely check more about this.